Started by Don Droba over 30 years ago, Droba Home Improvement is a family owned and operated, Cleveland, Ohio based company. 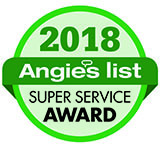 We have earned our stellar reputation from working hard over the years to satisfy our customers. This is evident in the fact that our customer base is primarily referrals and repeat customers. We use low prices, the highest quality of materials, and our excellent customer service to maintain business. We never use costly advertisements. Don, the Droba family, and our entire team are confident that we can satisfy your exterior home needs. Proudly serving Westlake, Rocky River, Lakewood, Cleveland West Side, Avon, Avon Lake, Bay Village, North Olmsted, Amherst, Strongsville, and more!